Thank you for your testimonials. 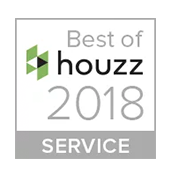 We rely on word-of-mouth to build our business without passing on advertising costs and appreciate your ongoing recommendations to friends and neighbors over the years. Description of work: I extended my deck and installed new gates. JR was courteous, patient and on-time every day. His crew was clean and put up with us peeking out the window every hour to see the progress! His deck was almost half the price of the other estimates we received and the deck isn’t lacking quality. We will recommend JR for anyone that wants to get a deck! Description of work: JR built a big, beautiful deck for our home in Timberwood Park. JR and his team were highly skilled and professional. His team worked in 100 degree heat and completed the work in 3 days. Very honest, straight forward to work with. The method he used were outstanding and the deck being 9ft high is very sturdy. Description of work: Raised Deck on back of house. We are so pleased with our new outdoor living space! J.R. listened to our ideas, gave his input, and built just what we wanted. His crew was very professional, on time, and did quality work. He even had a followup crew to come to the site and haul away all the trash. J.R. always responded to our questions in a timely manner. No money was due until he was sure he were satisfied with the work. We would definitely hire him again. Great...JR was very easy to work with and made sure the correct amount of materials was ordered so there was minimal waste. Workmen were always on time and were very professional. Some of the fencing delivered was not the best., but the workmen identified any wood that was not up to their standards and had it picked up and replaced. JR let me order some of the materials from Lowe's where I got a 10% military discount and saved a lot of money. I got other bids but JR was much lower. I would use them again and highly recommend them to anyone else needing deck or fencing work. I was very satisfied. Description of work: Two composite decks and quite a bit of fencing. Oct., 2017 JR gave us an accurate estimate. The cost was competitive with other bids. The quality of the work is excellent. JR has two main workers who did the work. They are good. They removed the old deck and carefully installed the new composite deck, attached to the house. They were on time, and finished as scheduled. The clean-up was thorough. I recommend JR and his crew. Our only regret is that we did not do this sooner. Description of work: replace deck with composite deck. Description of work: Screen in a large veranda. It is about 12' x 40' with a roof. JR and his guys are just awesome. They built the wood arbor, cemented in ground some posts and anchored on stone patio other posts. It was built and stained/painted all in two days. JR had special steel brackets made for it as it is freestanding and he wanted to make sure it would be secure. It came out just gorgeous. Looks like it was always there as it just fit in perfect with the design of the house. Now I won't have to close my blinds in the afternoon to block out the sun. I can enjoy the beautiful back yard all day. And we can enjoy the shaded part of the patio even on hot summer days. About 5 years ago, JR redid both of my upper story decks and the support that extends down to the first floor porch. He did such a great job on them and they are holding up so well, I just had to have him do this project also. And both my husband and I are glad we did. We will always us JR for any decking or arbor projects and we will highly recommend him to friends. Description of work: Built a custom wood arbor over my concrete patio, rebuilt upper story decks. We met with JR and discussed the layout of the deck and he took measurements and made note of the variance in the grade of the ground in the area and provided sketches of the design. We had underground water pipes for our irrigation system and pool plumbing underlying part of the proposed deck and he successfully built the founding piers around them . Within two weeks he was removing the old rotted deck and placing new base posts in cement footing. It was a somewhat difficult configuration with two levels, properly meeting between the house and the concrete pool deck which were not at 90 degree angles. We had to make adjustments while the building was in progress and we managed those changes successfully. It was all completed within a week, cleaned up and we could not be happier with the finished product and have received numerous compliments from friends and family. Description of work: Remove old deck and build new deck, between house and newly installed pool. We are very pleased with the work that he and crew did on the deck. He was very prompt in completing this rather large project. He arrived when he said he would and his crew was very respectful. The quality of the construction was outstanding. We have received a lot of compliments on our deck from our neighbors. The color slection he recommended along with the railings matched our trim and brick color very well. I would highly recommend his services for others seeking a well built deck. Description of work: JR constructed a composite deck with railings around my elevated patio. He removed existing railings and a section of deck along one side. He came promptly after I contacted him to develop a plan. I provided him with a rough sketch of what I wanted and he gave me other ideas I liked. He was flexible with changes I recommended just before he began construction. After contacting and receiving estimates from several vendors on Angie's list we chose J. R. Custom decks because his deck design was the best and the estimated cost was several hundred dollars less than his competitors. He gave an estimate of $6,400 for a 12.6 by 13.6 foot cedar deck with an arbor. The deck has a chevron pattern with a built in cedar bench on one side. The deck railings are black metal poles which makes the deck look really nice. The timeline for completion was 4-5 days. He was able to construct the deck in 3 work days. The final cost was the same as the original estimate. The site was cleaned up well; his two man crew was professional and very efficient. I would strongly recommend his service to family and friends and would not hesitate to use his services again. Description of work: Remove old wooden stoop and build a cedar deck with arbor and bench. 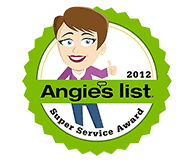 Description of work: After one year of searching for someone to build our deck, I finally found J.R. on Angie's list. If there would have been an A+ rating, I would have given it to him and his crew. After deciding on a plan and the type of material to use (we used composite, well worth the extra cost), J. R. gave me a start date. They were at our house for five days, always on time and very polite. When the job was finished, everything was cleaned up and hauled off. I would highly recommend J.R. He really went out of his way to make sure we were happy with the finished product. 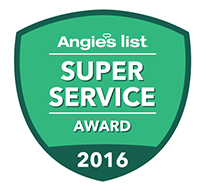 We picked JR because of his reviews on Angie's List after getting reviews from other companies that left us feeling uneasy. JR came out to our home, listened to what we wanted, took measurements and e-mailed us a plan and a price within 2 days. There was absolutely no pressure to sign and commit on the spot like we had experienced with other deck builders that had come to our home. The price JR gave us was excellent, and after a couple of revisions, and a plan drawn up by JR for the HOA approval, work started around the 23rd of October. There was some delays due to injury and rain, but both decks were finished in 7 days, as well as the additional patio trim. We are delighted with our new decks and they look even better than we had imagined. We highly recommend JR and would hire him again. Description of work: JR built 2 cedar decks for us. One was an extension of our concrete patio and the other was a 12 x 14 deck with a cedar arbor for our hot tub. The decks included lattice, railings, skirting and a bench. JR also added a lattice trim around our covered patio for additional privacy. Description of work: I had a cover built for my patio. The experience with this company was outstanding. I got exactly what I wanted. J.R. and his workers were punctual, courteous, and did an awesome job. J.R. said it would take 2 days and it did. I would absolutely recommend this company and hire them again. JR came for a site visit and promptly sent an estimate for the work. He understood exactly what I described and provided an excellent picture with the estimate. JR started work on the day promised. He was on site each day with his crew and they were all very courteous and worked steadily each day. JR ensured all the work was properly permitted and inspected. The work area was left clean each day and at the end of the project. JR's initial estimate was a firm bid and was exactly what I paid for the work. I love the new deck and would recommend JR to anyone thinking about this type work. Description of work: JR demolished and removed my old 12 by 36 foot deck. He replaced it with a beautiful 12 by 36 cedar deck. He added a partial cover which was about 12 by 24 feet. The underside of the cover was Hardy board and he arranged for an electrician to install two ceiling fans. He built steps on three sides. Description of work: JR built my family a 16x16 foot covered deck out of cedar. Description of work: J.R. s decks constructed decking in our back yard which was custom built to our specifications and fit in well with the previous work that was there. Description of work: JR and his crew removed an old deck that was inaccessible for my Mom and replaced it with beautiful cedar deck that allows my Mom to go outside by herself without worry of falling. They did a great job completing the work in a week. I would use JR and his crew again for additional work at my house. JR showed up when he stated, performed the job as described and ensured the work was permitted through the city. The work was top notch and the end product was better than expected. I would recommend JR's company to anyone in the market for a deck/patio. Description of work: Installed 10 X 17 cedar deck with skirting. If you enjoy dealing with a old fashioned craftsman, you will enjoy JR. He is the true professional. If he says he will call you back, he does. He calls, when he is coming over. It is, what he quotes. And his work looks really, really fine. I have seen why this gentleman's company is rated "A". Description of work: I had a sudden failure of a center 4"x6" center post supporting two 16 foot 6"x6" cross beams holding up my covered deck. Going out in the morning, with my coffee, all I could do was stare at a couple of thousand pounds of 16'x 26' wooden roof covering smiling at me -- sagging in the middle as the center post was for some reason disappearing from the bottom up. To Angie's List -- called Jose Reyna of J R's Custom Decks and JR took it from there. JR, with help, immediately came to the house to jack up the cross beams to make the upper structure secure and safe. That allowed him to inspect below the deck (very tiny space -- and JR isn't) for the source of the failure. Problem identified a solution was proposed and a specific time was given for the costing of the repairs. All were done exactly as promised. The concrete footing under the center support was improperly applied. The center part of the deck would need to be removed and a new concrete laid and a larger post support would be inserted. The 6"x6" cross beams would leveled also be reinforced. Since the rafters are 2"x6" and the covering is rolled tar and there are under-hanging ceiling fans, structural reinforcement became center to JR's remedy. His solutions are meant to last a long time. 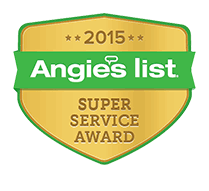 This company was contracted based on reviews on Angie's list. I contacted two other deck companies but neither was responsive in terms of providing an estimate. The owner of the company was the one who gave the estimate and provided the plans for the new deck. We decided to go with Cedar because of its durability although it was somewhat more costly. The crew showed up promptly and worked half days, due to the extreme heat. Nevertheless, they completed the job in approximately 3 days. Unfortunately, it rained during the weekend in the middle of the job which caused quite a bit of muddy mess at the end. Of course, is not the fault of the contractor or crew. In spite of this, they did their best to clean up afterwards and I was quite satisfied with the work. They left no debris, nails or scrap lumber lying around. I am very pleased with my new deck. I anticipate spending many an afternoon or evening enjoying it in the company of my family and friends. Now to get it stained and waterproofed. Description of work: Demolished and hauled off existing old deck. Built new deck in its place using treated lumber posts and Cedar for everything else. Jose was very professional and called me within a day of receiving my first inquiry. He e-mailed a rendition immediately and it was exactly what we wanted....PLUS the price was unbelievably reasonable. He used top of the line red cedar (which smells so good) and he and another carpenter finished the job in just one long morning! We feel blessed to have found an honest and hardworking independent businessman in this day and age. We are just so pleased and the only thing wrong is that we didn't do this years ago..!! Description of work: Jose designed and built a small pergola over a patio in the backyard. 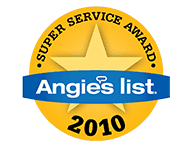 I found him here on angieslist and used the e-mail link provided. I also had a look at his website and saw many different pergolas along with good information. His website is very professional and informative and that was a big help! His excellent reviews are spot on! We called to set up an estimate for a new deck to replace an old deck. JR was punctual from day 1. We were pleased with his proposal and after the signed agreement he set a start date and an end date. Each day his team were on time and worked efficiently. We are so pleased with the results. I would highly recommend JR Custon Decks. No matter whether the job is big or small people will get the best from highly trained people in construction. Description of work: We needed a new deck to be replaced. 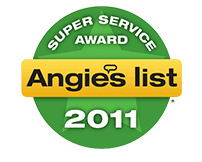 JR Custon Decks were highly recommended by Angie's List. Mr. Jose Reyna helped to designed a deck to meet our needs and enhance our backyard. We were so impressed with the professionalism and creative design by this company. JR is the consummate professional. He showed up when he said he would, was always prompt in returning phone calls, and his final price was exactly what he quoted to us. He drew up plans to our specifications, made recommendations to us that he thought would improve what we wanted, always gave us options about ways we could do things, but left the decisions to us. I am thrilled with the final product. It actually came out looking better than I thought. I had to call him back a couple of times for very minor things after the work was completed (and paid) and he was as responsive and courteous to these post job issues as when he was bidding the job. (And, I want to emphasize the post job issues were very minor--and issues that he had already addressed but I decided I wanted him to do something a little different.) Again, I want to emphasize how responsive and cordial JR was about meeting my overly perfectionistic requests. I would recommend him as an A+++ provider. Description of work: Jr. and his crew built a composite deck on the back of our house, half of which was screened in and the other half was covered by a cedar arbor. 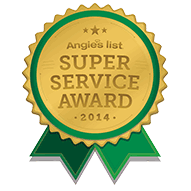 I contacted JR due to good reviews on Angie's List. He came out promptly to discuss the project, offered good solutions and his price was very reasonable. He provided good references, started on time and finished the work when he said he would. JR communicates well and is very professional. I would certainly recommend JR to anyone looking for a contractor with experience, dedication to his craft and integrity. Description of work: JR replaced approximately 1,000 sf of tri-level deck. Reinforced substructure, new decking, rails, balusters and several steps. Called JR to query about his services and he got back with me quickly and came over and gave me an estimation. I changed a few things and he was flexible and did everything the way we wanted it to be done. It took his crew just one day to complete the project and everything was done to our satisfaction. We would definitely call upon him again if and when we need more work done. Description of work: JR and his crew built a new arbor (10X20) on the side of our house. After contacting about 7 contractors I decide to go with JR because when I spoke to him and explained that I wanted to build a deck along side my property line he was the only person who told me about the city ordinance and what could happen if I did build along side the property line. I was very grateful for that information because I'm a first time home buyer and have no idea about city ordinances. JR and his team not only finish the job quickly but did an amazing job as well. The color of the deck even matches the trim of the house. We wanted to extend our current patio and put a barrier up so that the kids could play on the side of the house and not have access to the back of the house where the pool is. The composite deck is well worth the money because you don't have to worry about any maintenance other than using some soap and water to clean the dirt off. When the work was done they picked up all their trash which was greatly appreciated because the kids run around bare footed sometimes. Description of work: Built a one step up composite deck with composite rails, composite deck skirt, composite step that leads to the cedar gate on the deck, and a 5 foot cedar fence 4 feet high. When looking for a deck builder I asked my neighbors who had built their beautiful deck. The gave me J.R.'s name and I looked him up on Angie's List before contacting him. He had good reviews so I went with him. At our first meeting I asked him to come up with what he believed to be the best design for the home and property. He came up with the perfect design. His team was efficient, fast and obviously skilled in deck building. It took them only 2 days to complete the job in very hot weather. They were good at cleaning up the debris when finished. I am extremely pleased with the design and construction of my beautiful deck. Description of work: Built a 7 ft. X 20 ft. composite deck with Arbor onto an existing cement porch. Added a railing with aluminum bars and steps. Description of work: JR built a wood cedar patio arbor (pergola). It was constructed to fasten to the roofline and be also supported by cedar 6 x 6 posts.It looks great and is top quality construction! J R & his guys did an amazing job. We had them tear out our existing deck and rebuild & extend it out further into the yard. The new cedar deck is beautiful! The attention to detail is amazing & the new deck fits around every curve of our house perfectly. We also had J R screen in our porch and it turned out really nice. Again, the attention to detail is evident and the result is better than we expected. The guys had everything done in 5 days & didn't leave a scrap of trash or mess which we really appreciated. We definitely recommend J R's Custom Decks. Great quality work, good price & excellent customer service! Description of work: Built cedar deck with bench & screened in existing patio. My experience with JR was pretty good to go all around. I did really like that he supervises the job while his guys are getting it done.He was very professional and so was his crew. I don't have any complaints. I would use his business again. I thought the price was fair for the job. Description of work: I had a composite back deck added on to my house. The entire project went very smoothly. JR's men working on the deck were courteous, hard-working, and efficient. JR was on-site most of the time which was very nice for me. It provided me with a lot of confidence that things were on-track. I'd highly recommend JR Custom Decks to friends and family. Description of work: JR provided us with a very reasonable estimate on a deck for our back yard. He came up with an attractive design that incorporated our existing back porch structure. We wanted to include a hot tub and JR's design was perfect. He really took into account our budget and did everything he could to help us stay within it. My husband and I bought a beautiful Armadillo home. But because it is a new build we have no trees in our backyard. The back yard is brutal in the summer and we couldn't enjoy the back yard. But because our house is a new build and under my warranty if I attached anything to the house it would void out my warranty. So the process of getting estimates began! First one $12,000. second $10,000. for just a 16'x14'! My father was a builder and I am an interior designer/Mixed Media Artist. I knew that the prices were way too high and so my search continued. I got 15 estimates! yes 15! Then I found JR! Praise GOD! I went from 16'x14', to 30'x20' that covered the whole flatwork! Also I had a outdoor kitchen built out of limestone! All for $9,200.00!!!! JR and I worked together with the challenge of not attaching it to the house but butting it as As we could to the house. The design and final product is beautiful and looks like it was built with the house and not an after thought! We have 6 children and I love the look of rough cedar I didn't want the children to get splinters from the cedar. So to prevent that and incorporate the front of the house with the back of the house he wrapped the cedar posts with limestone. Jr also recommended Ariel Garcia who did the stone work and built a low stone retaining wall /flower bed that doubles as more seating and outdoor kitchen. JR is so professional, and possess something that has been lost in this day and age and that is integrity! My father taught me that the most important thing you have in this world is GOD, your Name and your Word. Jr has all 3! From Start to finish JR was there and asking me if I was pleased and answered any questions I had. He kept the work sight neat and clean. His team was also very professional! Don't bothering getting 15 estimates like I did just go right to JR from the start! I promise you that he will go above and beyond! Description of work: JR built a beautiful cedar Arbor/Pergola and out door kitchen over my existing 20'x30', flatwork. Description of work: J.R. is a very polite, professional, punctual man of business. Our plan for the arbor he built was interrupted by 2 deaths in our family but he was understanding and worked with us very well to suit our schedule. He obtained the city's permit for the arbor and proceeded as planned. I was impressed with his punctuality and professionalism. Everything was cleaned up after. My husband and I are very pleased with his work and I highly recommend him for employment. Description of work: Added a 125SF composite wood deck. Wanted the above add to an existing 17’ x 6’ concrete deck. After calling several vendors (1 never returned my call, another called but never arranged to do the estimate), J.R. was on time to provide and estimate and personally took interest in what I wanted. J.R. took care of the building permit and his builders were on time as scheduled. Very professional, showed up on time, completed work on time and as promised. J.R. worked with us as we made minor changes both before and during the project. Estimate was exactly what we paid at the end of the project. 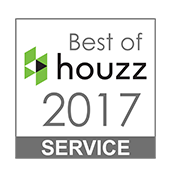 We would not hesitate to hire this company again. Only regret, we had to spend an entire day cleaning up the job site. Description of work: Removed existing deck and installed a new composite deck. JR designed a perfect solution to our west afternoon sun heat. The cedar construction used heavier lumber that most. He and his crew arrived on time and completed the work in less than a day. The finished product was excellent. No complaints. Description of work: JR added a 12 X 16 foot cedar arbor for shade to my existing deck. We contacted JR for an estimate and he was prompt, patient and courteous. He supplied us with the name of a reference. We did check with the reference who praised JR's work. JR came back with a design and a quote and was quick with changes that we asked for. As soon as we were able to get the hot tub that we wanted he began the project. It was done in a week and a half. First his team laid out cedar lumber in the backyard for staining. That took a couple days to dry. Then the synthetic deck material came in and they built the flooring, which took two days. The frames (one for the gazebo, one for the overhang over the patio area) went up in one day. The roof over the gazebo, and the electrical work for the spa and lights happened on the fourth day. on the final day facing, benches, and trim were added. Overall it is beautiful work and we are absolutely delighted. Description of work: JR and his team built a patio deck in our back yard with an adjacent gazebo that contains a hot tub. The project went very well. JR's team took down the old rotted parts of my deck and replaced them with new treated lumber. His men replaced the wood walk with new treated lumber. The stairs to my deck are now sturdy. They have a solid feeling. When the job was finished they hauled away the old discarded materials. The work certainly has a professional touch. I could not be happier with this finished product. JR provided a free estimate. When I accepted the bid, he gave me an itemized written invoice which we both signed. During the work JR and his team always operated in a most professional and respectful manner. Description of work: JR's Custom Decks replaced rotted wood on and around my deck and wooden walk way. They used treated pine and hauled away all the old lumber. Part of the project involved replacing a 12' by 12' arbor and two sets of stairs. Called J R's for an estimate. He worked with our time constraints and came to our home on a Sunday afternoon. We were wanting a roof put over our back concrete slab. He was honest in that the job was more than his normal scope of practice. He was prompt and professional in manner. Description of work: no services were performed. JR came out within 24 hours and wrote me an estimate. He emailed me very detailed plans. I was impressed with JR's friendliness and patience with answering all my questions. I was interested in composite decking and JR showed me samples and a brochure. He really shows up when he said he will and have the whole job wrapped up in 3 days. The cleaned up after themselves every day. I have dogs and worry about nails etc. He and the gentlemen that came to work with him were terribly polite and scored more points with their patience with my attention loving Cattledog. We love the patio. It was like adding a new room to the house and now I spend more time out there than indoors. Description of work: I wanted to put in a deck and patio cover over a tiny cement deck that I had. We contacted JR and had him meet us at our home that was being built. He met us on time at the property and took down what we wanted to build. A couple of days later he called with a price that was over $500 less than my three other bidders. 2 months latter after we had received approval from our HOA we let JR know we were ready to start. He started on a Tuesday and was finished by noon on Friday. We are very pleased with our new deck and highly recommend him. Description of work: JR built a Red Cedar Deck and Arbor on the back of our house. He did everything we asked of him and built us a fantastic deck. We had 2 obstacles to work around in order to have the deck built but JR came up with solutions to both of them. It is nice to know there are still trustworthy people in the construction industry. So many in the construction industry just seem to want to take your money and run, not JR he is a true professional. We simply wanted our backyard area to be more functional for our two small children but had no idea what these kinds of projects cost. We had several companies come out to share their ideas and give us bids, and JR's were by far the most reasonable. After we selected his company, JR worked with us for several weeks beforehand, trying to get us a design that met our needs and our budget. We ended up tearing out the old railing and steps and adding new cedar and metal upright railing, new cedar stairs down from the house with a storage door underneath, two wide cedar steps down to the grass, and two cedar right angle benches in the corners of the patio. The ultimate design and finished product are just what we needed and for a great price, no less. His crew was friendly and in and out pretty quietly in a day and a half. He also recommended another company to do the staining, which turned out great as well. Can't go wrong with selecting this company! Description of work: Removed treated lumber railing and steps on existing patio and installed new cedar railing, steps, and matching benches. I love our beautiful new deck. JR specializes in composite decking from Ever Grain. I have been researching composite vs. wood, and if you are considering composite, EverGrain has a good reputation as the one looking most like wood, with 25 year warranty for materials and labor. 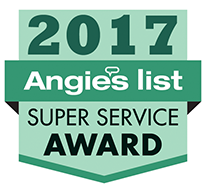 JR contacted me immediately on my sending him an email from Angie's List site, and he was meticulous in measuring for the quote, and I could see early on his attention to detail. He was almost always on site, and the crew started work quite early each day, which I appreciated. I watched his carpenter work on a tough angle until it was perfect; their work was very carefully performed. I read that composite would be at least 1.5 times the price of wood, and JR's quote was spot on as compared with a quote for a real wood I was given by another company. I was very satisfied and pleased and recommend JR's Custom Decks. Description of work: The old deck was torn down and hauled away. A new deck of composite was built. JR's custom decks did a great job for us and I would not hesitate to recommend his company to anyone wanting quality work. Details: We wanted our deck replaced and were also considering a $20,000.00 project to build a closed gazebo to house an 8' X 10' exercise spa. 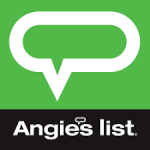 We called an Angie?s List highly rated company and they sent a salesman that was mainly interested in hearing himself talk and not listening to what we wanted done. We also had difficulty getting plans out of them. They deserve an ?F? rating but the actual company never did any work so I didn?t rate them. We called JR and asked up front if he was sending a salesman. He said we are a small company and I perform all of these functions. We have a dedicated crew, led by Mike the carpenter (who is really good by the way). The same people come to your house every day, on time and ready to work. To be cautious we had our deck replaced first just to make sure that this company performed up to expectations. The deck that they tore out was horrible and cheap construction. The replacement deck is top notch. Quality construction, sturdy framing, screwed boards, not nailed, good steps and railing with a beautiful circular bench around a large live oak. After we saw the quality of the work on the deck and the ease of working with JR we decided to have him quote our fully enclosed gazebo. He built the 12' X 16' gazebo as an extension of the deck. Without going into all the details suffice it to say that we are fully satisfied with the job and the gazebo is beautiful inside and out. JR is not some slick talking guy that makes you want to double check to make sure that your wallet is secured. He will quote you up front what the defined project will cost. Is he the cheapest guy around? No he isn't the cheapest but you wouldn't be looking at Angie's List trying to find a quality, honest builder either if that was all that you were looking for. We feel that we got both a fair deal and outstanding work from JR and his very capable head carpenter Mike. Description of work: JR replaced our deck and constructed a 12' X 16' fully enclosed Gazebo as an extension to the new deck. Description of work: Designed and constructed a custom deck (approximately 18' x 30') for an unconventional space. Provided us a solid quote, started the job as scheduled, on time each day, and finished in less time than allotted. The deck turned out beautifully, and we're already talking about the next project we want JR to complete! We have had some bad experiences with contractors in the past. However, JR made this project a complete success. JR was fantastic to work with. He was on-site each day. The men who worked for him were great. They cleaned up each day, they always showed up on time, and they did a beautiful job. I would recommend JR Custom Decks to anyone looking for good, honest, quality work. Description of work: Build deck and surround for hot tub. Description of work: This is the third time we have used JR. He built a wooden deck for a hot tub 8 or 9 years ago that is still in terrific shape and a wood privacy fence not long after that. This time, he replaced a rotting deck out in our backyard with a new deck using composite. He and his team are completely reliable and totally professional and we are glad we found them almost a decade ago. The fact that we have used him three separate times attests to the quality of his workmanship.